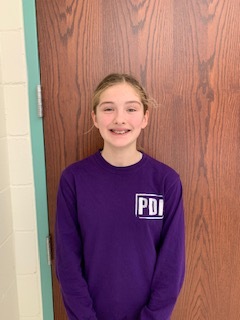 Amelia Anderson is Dixon Road Elementary School’s Youth Volunteer of the Year for 2019! 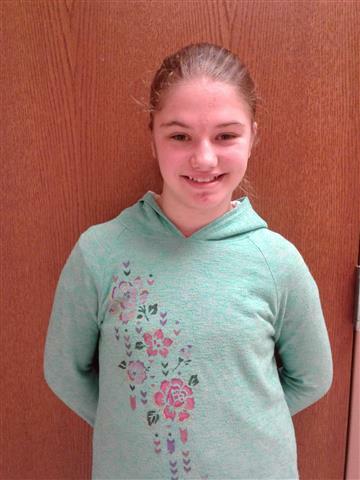 As a Peer Helper, she supports fourth and fifth grade teachers by filing papers, cleaning up the classroom, assisting struggling students, and other requested needs. At lunch, she helps by escorting first grade students back to their classrooms. Amelia volunteers in many ways for the school’s Student Government Association. She even took over an elected position when another student was unable complete the required obligations. Amelia Anderson is a remarkable, resourceful asset to our school! 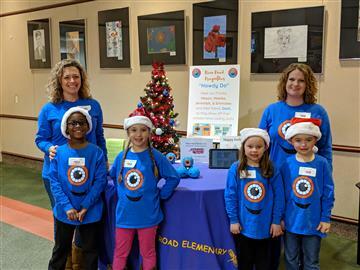 Some very special first graders from DRES were offered the opportunity to showcase their computer science skills at the NCDPI CS4NC expo in December. Out of the 16 teams selected from across the state to participate in the showcase, DRES' group was one of them. Four first graders, Jeremiah, Mason, Maelee, and Emmalee demonstrated how they are learning and utilizing computer science in their schools at the expo. They presented their project, “Howdy Do with Dash”. The students, guided by their coaches, Jackie Tingen and Kelly Stewart, interviewed the attendees using Dash, a cute little blue robot that the students coded to respond to voice, navigate, dance, sing, and many other exciting functions. We need your help! If you are available to proctor our EOGs, please click here to access the sign up link! Thank you! We need your help! If you are available to volunteer at our Spring Book Fair, please click here to access the sign up link! Thank you! Do you have a Harris Teeter VIC Card? Link it to Dixon Road whether you shop there often or not, as there is a current promotion for link ups. If we meet our goal set by Harris Teeter by October 9th we earn $100! Note: VIC cards have to be linked yearly. You can link to more than one school in case you have children at different schools.